The California Public Employees Retirement System (CalPERS) has decided to lower its discount rate from 7.5 percent to 7.0 percent, which will cause pension costs to rise for state and local government agencies. CalPERS’s discount rate is the percentage the pension system expects to earn as a return on its investments. When the discount rate decreases, pension payments and unfunded liabilities go up. Numerous government agencies in San Luis Obispo County, including all seven cities, are CalPERS members and thus face rising costs. The SLO County government, though, has its own pension system. 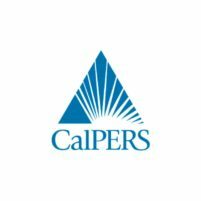 At a meeting held Wednesday, the CalPERS Board of Administration voted to lower the discount rate by half of a percentage point over the next three years. The board also voted to delay the changes by one year for school districts and local government agencies in order to give them time to prepare for the increased pension payments. For state government agencies, the discount rate will lower to 7.375 percent in the 2017-2018 fiscal year, followed by 7.25 percent in the 2018-2019 fiscal year and 7.0 percent in the 2019-2020 fiscal year. The changes will begin taking effect for school districts and other local government agencies on July 1, 2018. Local government agencies and public employee unions had been attempting to stall decreases to the discount rate. In the 2015-2016 fiscal year, CalPERS earned a return of just .6 percent on its investments. That was the retirement system’s worst performance since 2009. The returns earned thus far in the current fiscal year are 2.3 percent, according to the LA Times. Total CalPERS returns have averaged 6.9 percent over the last three years, 5.1 percent over the last 10 years and 7 percent over the last 20 years. In 2009, CalPERS lost a quarter of its value. The retirement fund has since been plagued by market volatility. CalPERS received a record return of 20.7 percent in fiscal year 2011 and then fell to 1 percent the following year. In 2015, CalPERS earned a return of 2.4 percent. The CalPERs board last lowered the discount rate in 2012, bringing it down from 7.75 percent to 7.5 percent. Following the board vote Wednesday, Gov. Jerry Brown issued a statement commending the decision to lower the discount rate. If you think the system isn’t primed for a complete “Glenn Beck” style meltdown, then you haven’t been paying attention. Isn’t this the same entity that brought CA to the brink of bankruptcy a while back. Cities are still paying off that debt. When everyone was taking cuts in pay they were handing out raises. California shuffled gas taxes to buy property and build a train set so I would expect other funds allocated to pay themselves upon retirement. Sure there will be public meetings, what, where, when? and that is how it’s done. Need more money? We can vote for Measure M as in Merry Christmas. Gee, in the real world when your income or investments are lower than expected you cut your expenses and costs, but not when it comes to the public sector, you just steal more money from the taxpayers. CalPERS a sustainable system? An oxymoron at best. Is this the beginning of the collapse of the retirement programs that are currently in place? Every agency has been adding to this UNFUNDED program and placing it onto shelves like something like this would never happen. Every local local city should include these liabilities in their General Fund budget and come to terms that it really does exist and at the same time have a very transparent audit of what the situation is and start paying it down. I didn’t read the part where the contributions must increase…are we to guess guess that what lowering the rate does, forces larger funding? That part was IN the Sac Bee story. Employee contributions go up. This report just chose to leave that out. Wonder why?